Dinosaur Comics - July 20th, 2007 - awesome fun times! –You should fix that / compiler error! 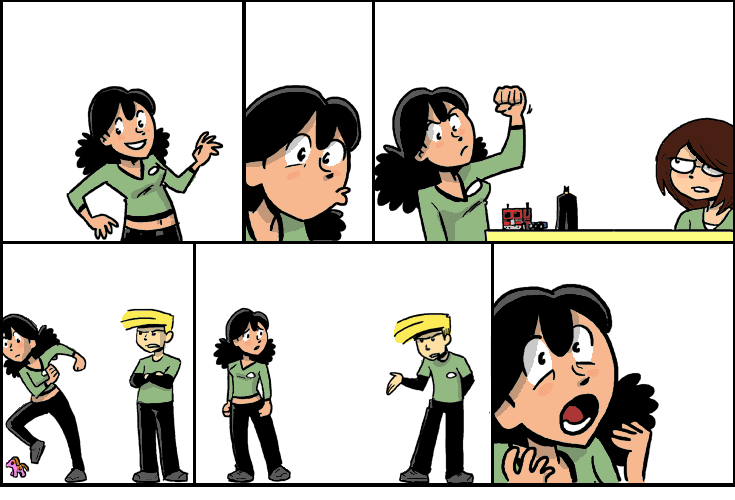 July 20th, 2007: I am a big fan of Nedroid, where you can read all sorts of great comics. I was going to link to a few here, but THEY ARE ALL GOOD, which is amazing. I've linked to Nedroid before but this time is for his 200 Bad Comics, in which he's drawn, as you might expect, 200 bad comics. But what is this? They are not actually bad! You will laugh! I forgot to mention with yesterday's update that if you're interested in the heat death of the universe, or just want to read a really excellent story that will stay with you for at least a few days, you can do no better than Isaac Asimov's The Last Question. Asimov himself thought it was one of the best stories he ever wrote, and I think I agree. It's a wonderful story and it's only a few pages long, so you could read it at lunch break and still have time for, you know, eatin' lunch!